A pathway to Serenity: discover its particular energy and its colourful character. Your garden also loves you. Communicate even more closely with him by respecting it as the Master of the place. Discover it secret: balance and harmony. And benefit from a soothing, relaxing and surprising exchange. A complete happiness! And for the one of the host that we welcome. Le Jardin Feng-Shui offers you numerous services to improve the energy and the character of your garden day after day. Everything that can help you to create a garden of harmony Feng Shui. That is a garden which suits at the same time your place of life but also all its inhabitants. a garden which matches with who you are. My garden Feng-Shui and I brings original practices of culture and landscape painting inherited from the tradition Feng Shui. We can learn there to harmonize colors, forms, materials, trees and flowers, while balancing the general atmosphere by playing with sounds, vibrations and sensations. By improving the energy of your garden, you can get fresh ideas, eradicate your concerns and create a place of conviviality and sharing. So your garden will become a charming place, convenient to the serenity and to the well-being which you are looking for. 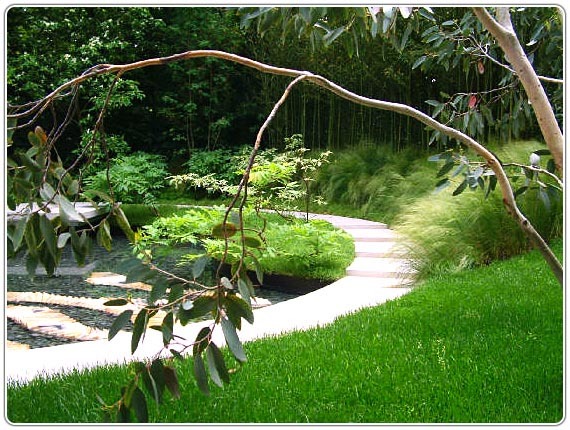 The garden Feng-Shui is a small heaven on Earth, an island of greenery and serenity. To cultivate it, we must respect the landscape and the biodiversity, protect everywhere where it is possible the spontaneous flora and fauna as well as the work of those who preceded us.